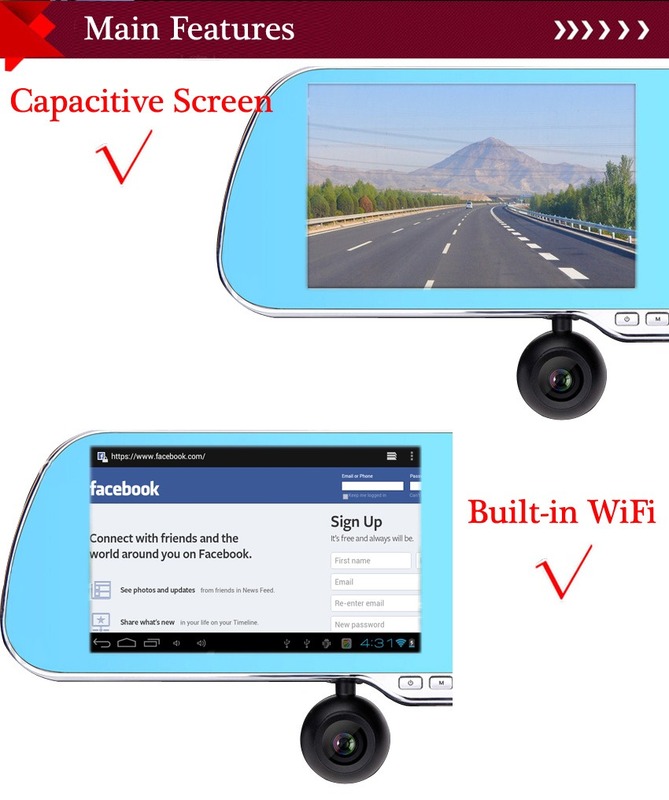 Bring you more secure driving experience. 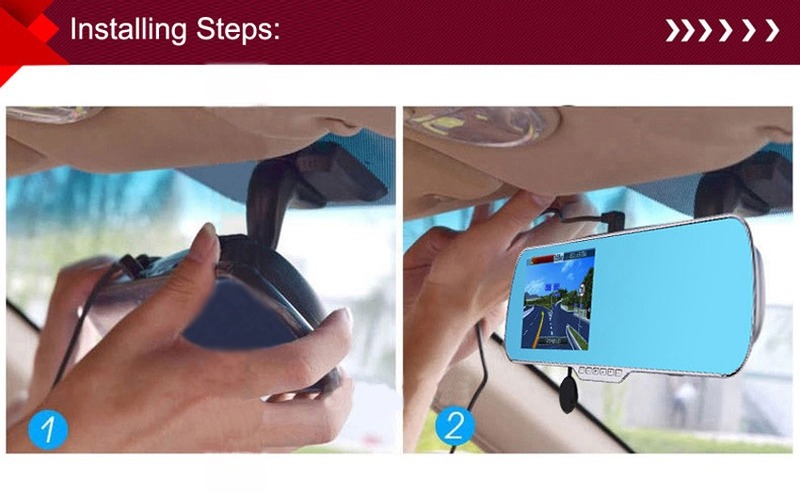 The coolest way to ride is with this all in one 5 Inch GPS navigation and car DVR.Pull up to the lights knowing you know exactly where you are going as this navigator has built-in car GPS,which is the ideal for guiding you around and to your desire destination,while highlighting,points of interest and any public stations and service stops.Also once you have finished you can detach this GPS and use it to this similar of a tablet PC by exploiting the Android operating system. 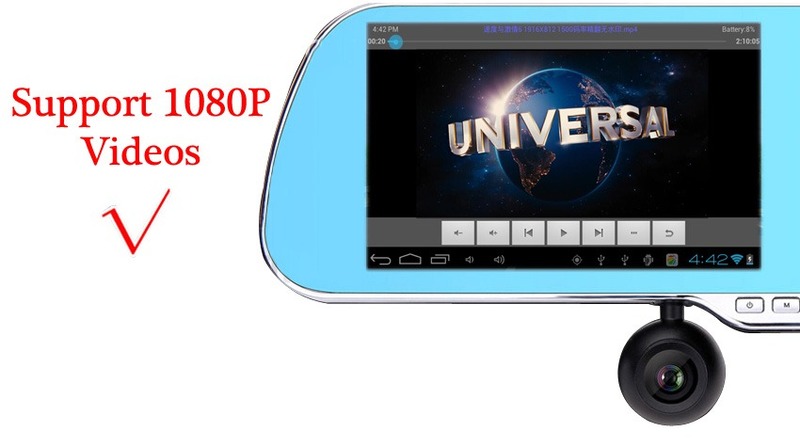 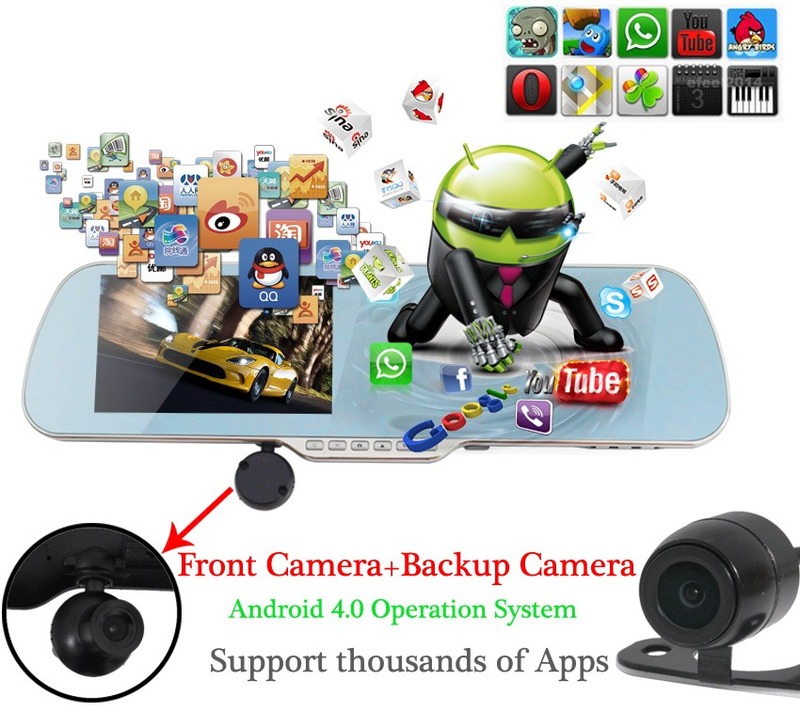 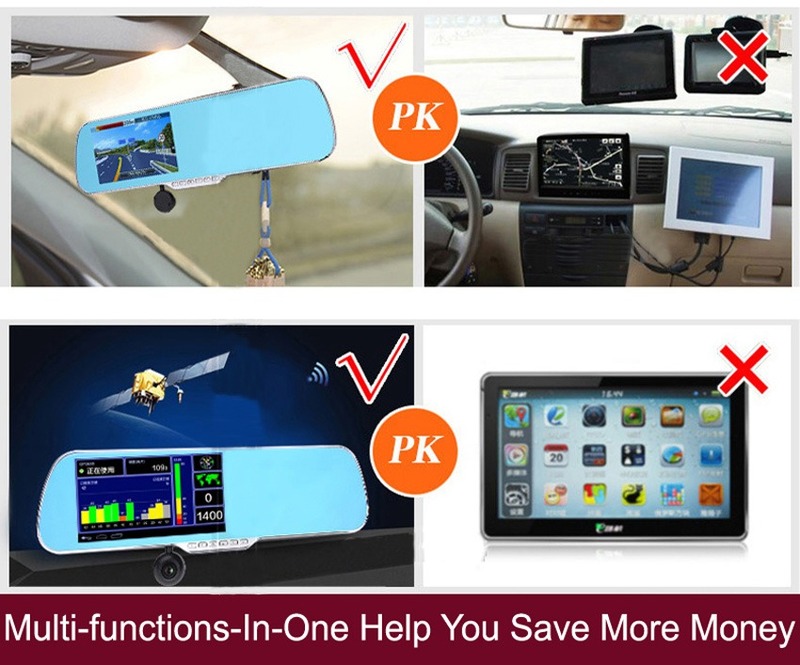 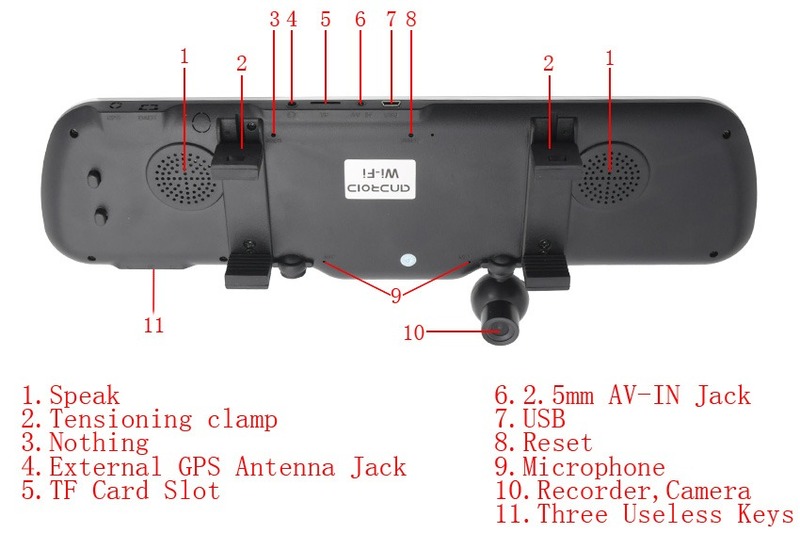 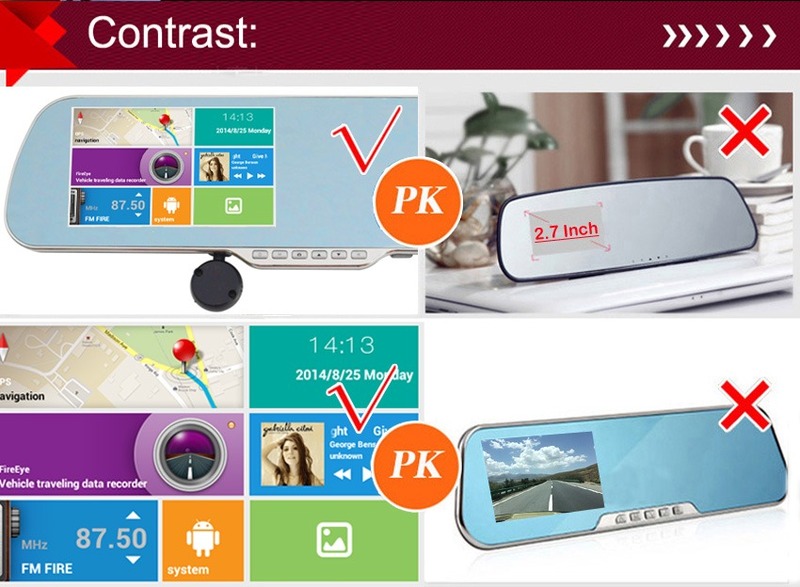 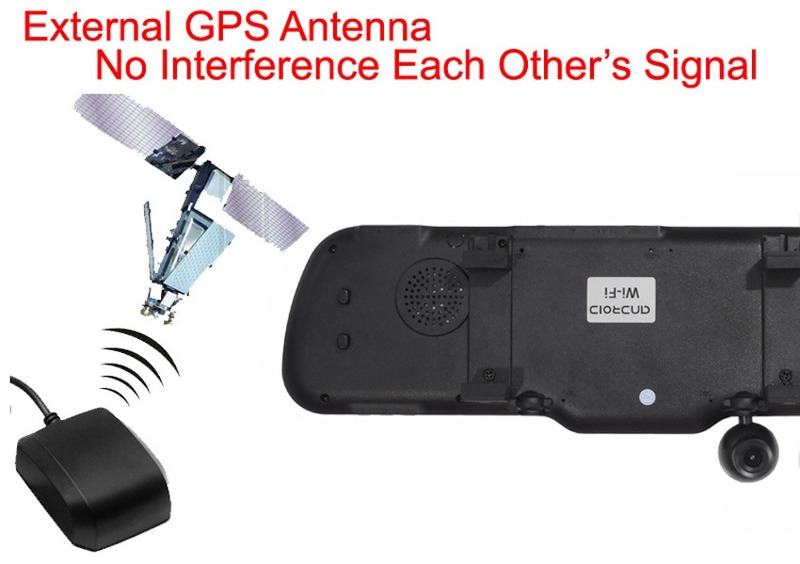 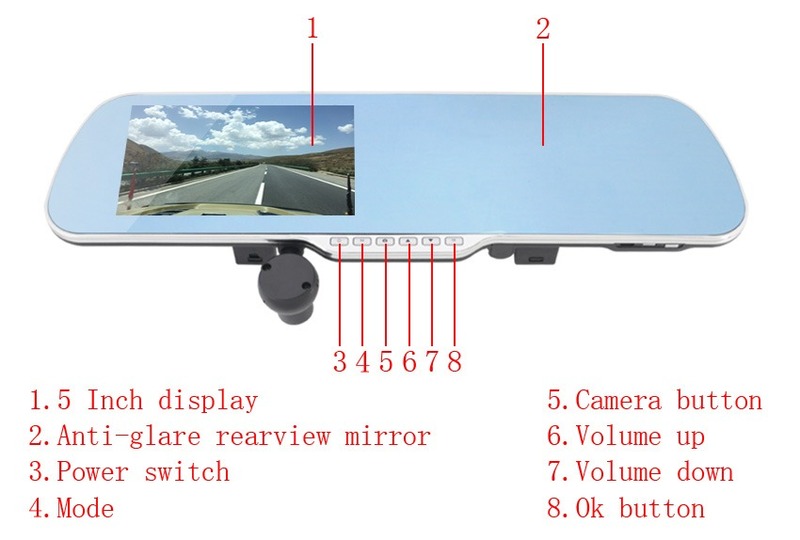 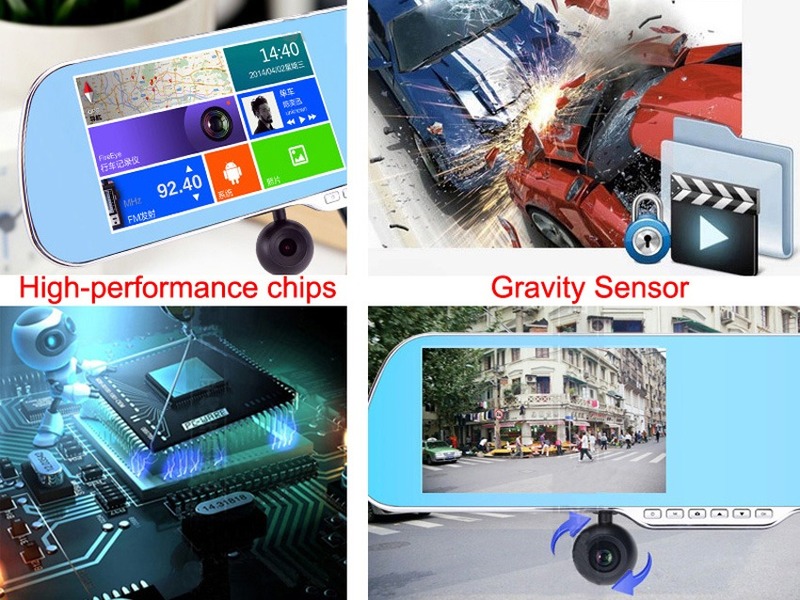 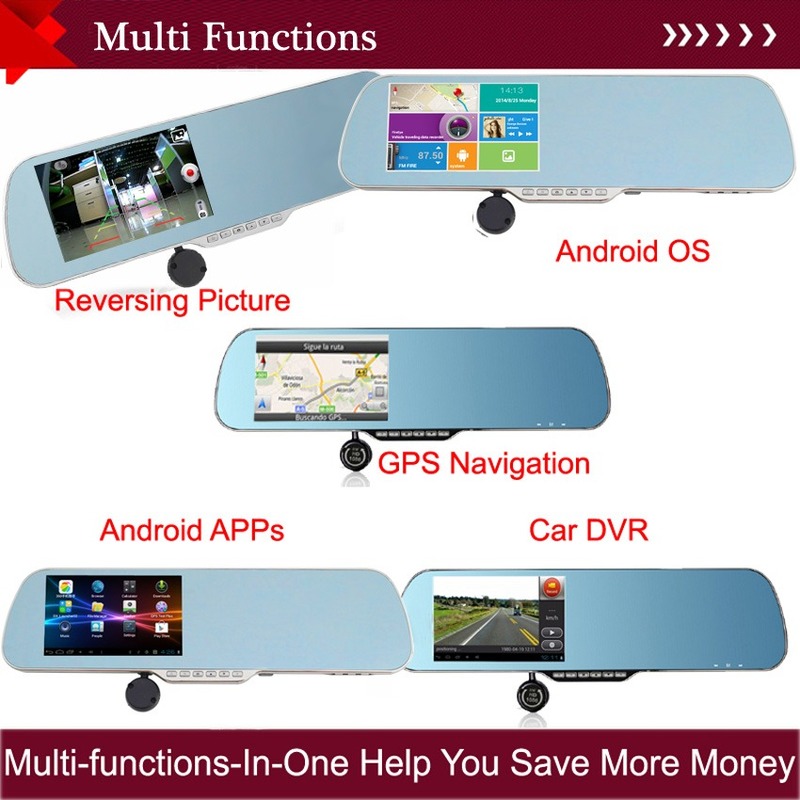 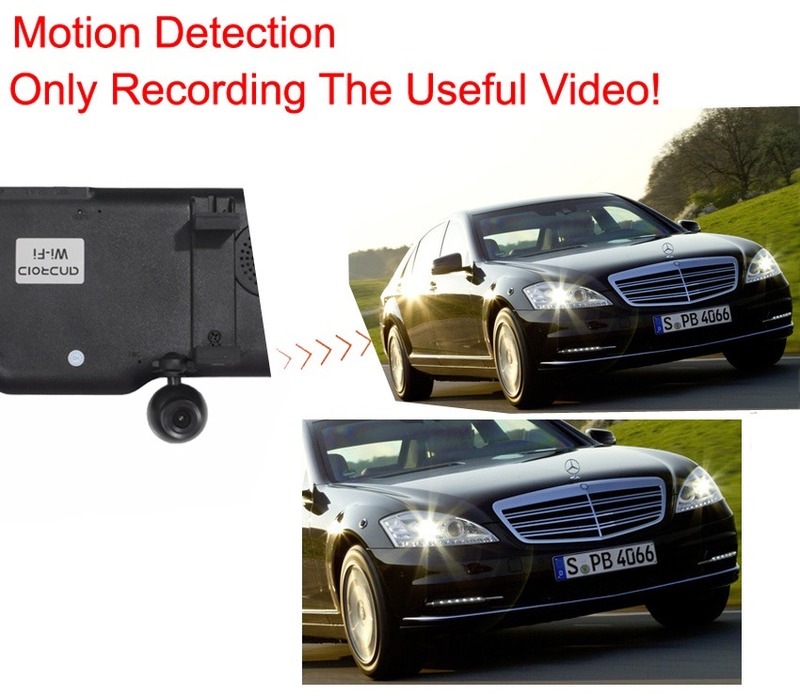 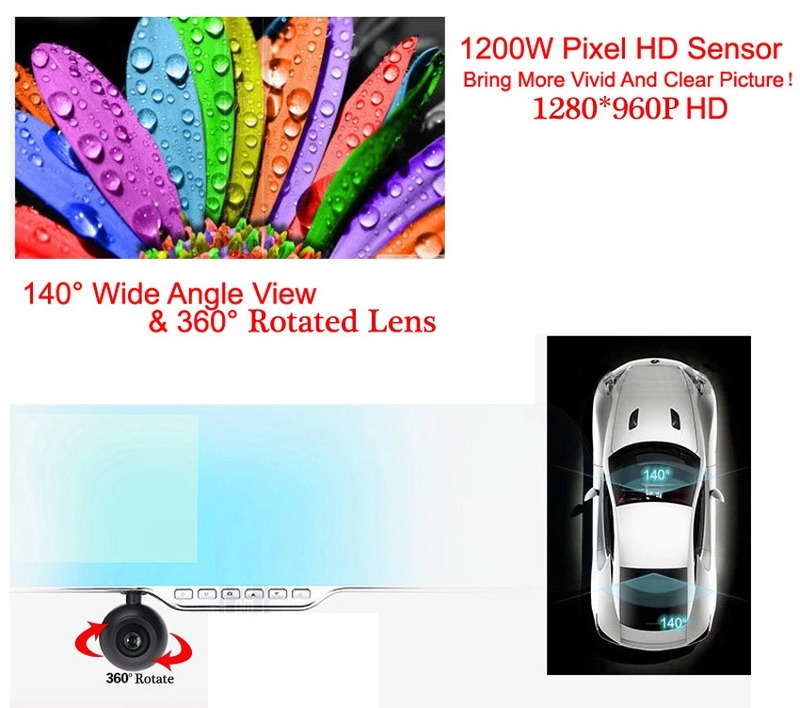 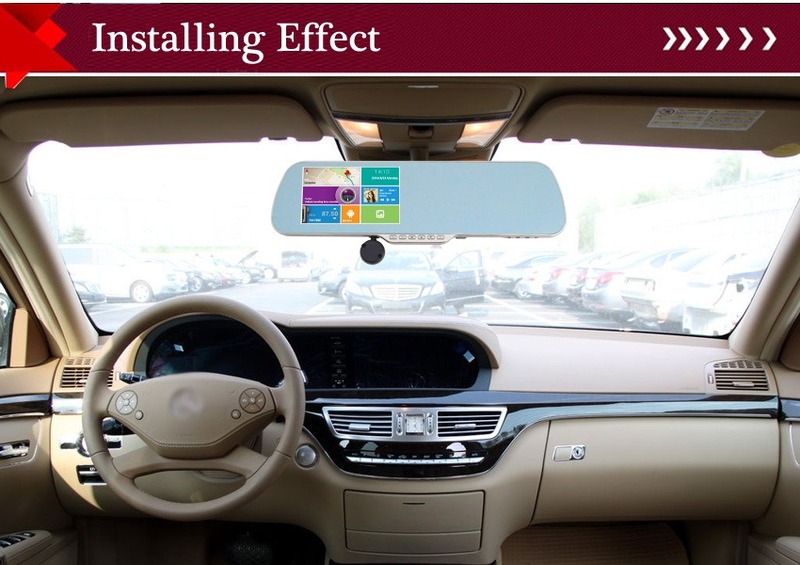 This product uses the latest Android 4.0 system,set the navigator,drive recorder and anti-glare rearview mirror in one, Easy installation,convenient and simgle;navigation while video recording,add a fun for your driving experience.This product supports 3D navigation,HD driving record,anti-glare rearview,FM emission,Music,movies,e-book reading,picture browsing, calendar,calculator,function and application of casual games.And reversing,so that you can enjoy a better driving experience. 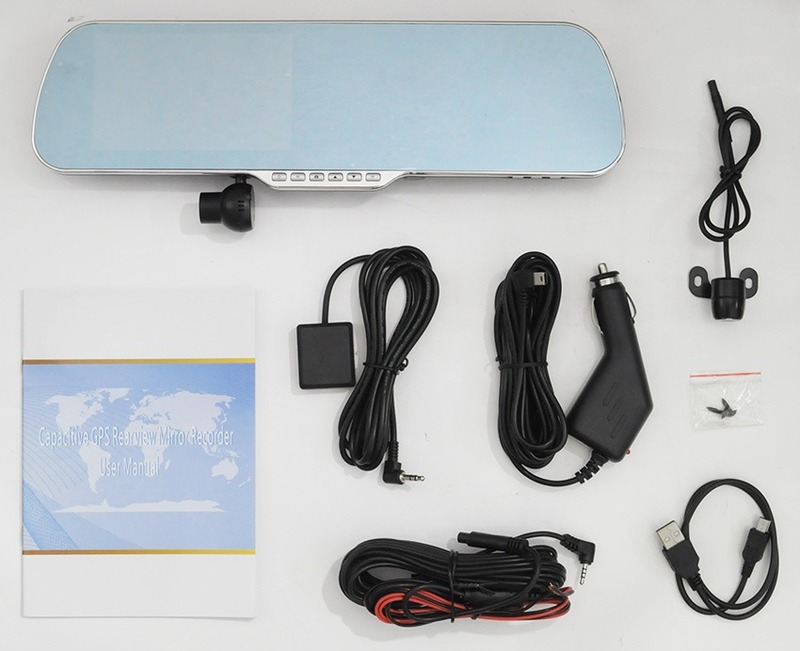 We will preload maps according to your paypal address,if you want other maps,Please contact us!